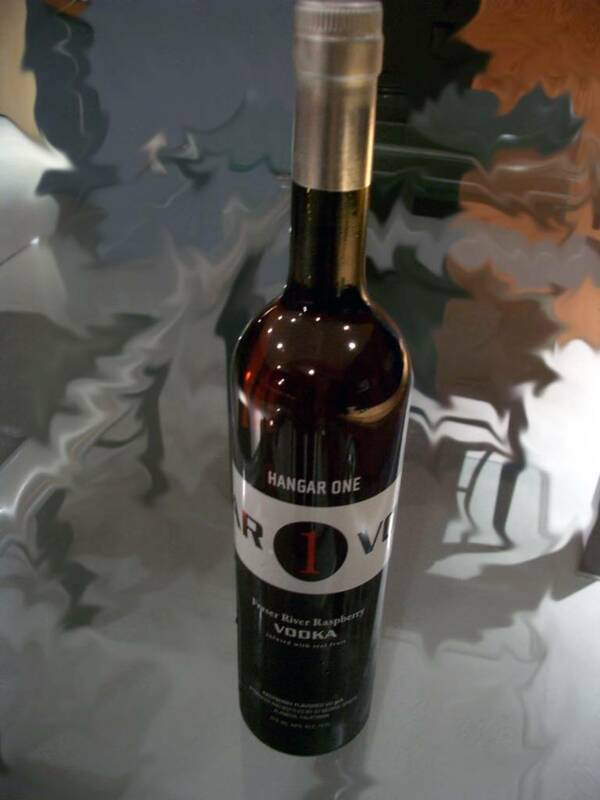 It was just these few words "Hangar One (the raspberry is dynamite)", read in a Chowhound Post back in October that alerted me to the existence of Hangar One. I went and found me a bottle. I fell in love. This is one of the most delicious, fragrant, fruitful, liquors I have ever tasted. It tastes real, like fruit, it doesn't taste fake, like fruit-flavoured candy. I keep a bottle in my freezer and sometimes, for a treat, allow myself a little glass with a nibble of Cote d'Or Plain chocolate with hazelnuts. even thought up yet, will not be open for another month or so. new one!) are polished and glowing. Come and get a look. Yes! I remember the hangar, I could almost see it from my work window. If I had knew they were making such a delight! You made me taste, now it's my favourite liqueur too. Our friends must have to thank you because before I avoided the after dinner drink! Melissa and I went on a tour of Hangar One a year or so ago. Well, it was a tour of St. George's Spirits, but same thing. It was tres fascinating to hear about the process and the attention to quality. Derrick, I have a day or two off work when they are having their preview, so I have no excuse not to check it out! I know it's been a while since these postings, but we're having an open house at the Hangar this weekend (October 8th and 9th). I'd love to meet you guys after all of the wonderful things that you've had to say about our distillates. Hope to see you there. I will be there! I was one of the first people to take a tour of the original facility next to the winery. Can't wait to see the new hangar. Just saw your VODKA article, and would like to know if possible, for me to send our story, of how we basically allowed ALCOHOL/Vodka to destroy our Health.